Film director Michel Gondry was responsible for The White Stripes' most memorable videos - the Lego-tastic Fell In Love With A Girl, and the insane stop motion collage of Hardest Button To Button. His latest collaboration with Jack White is more nuanced, but no less mesmerising. He uses a shower window as a sort of impromptu etch-a-sketch, creating an ever-evolving illustration of City Lights' lyrics in the steam. According to Rolling Stone, the filmmaker shot on the video on his own, without notifying White until it was completed. The track is off White's recent album, Jack White: Acoustic Recordings 1998-2016, a collection of B-sides and rarities from The White Stripes, The Raconteurs and White's solo career. 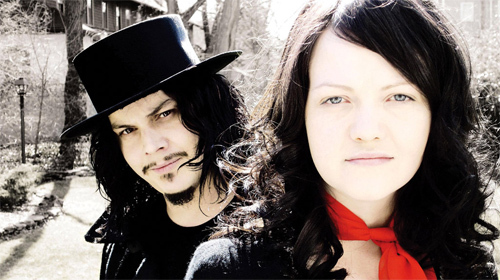 It was originally written for The White Stripes' 2005 album, Get Behind Me Satan, but never made the cut.